Save the world from madness and darkness when you play The Rift Slots – if you’re not too scared… Enjoy FREE Spins & Sticky Wilds as you go. Muster up your courage and spin The Rift Slots today! It has a dark and mysterious theme, taking you the back alley where the rift has appeared. Your mission is to collect the special artifacts before they get sucked into the portal to the underworld. 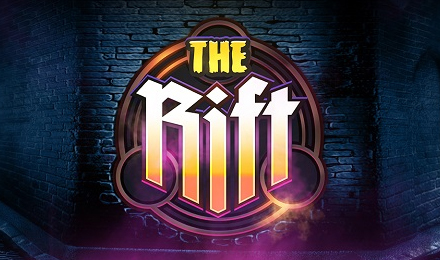 The Rift has FREE Spins, loads of Sticky Wilds and a 96.3% RTP. Good luck!